Designed to reduce the total cost of ownership, the new oil sensors will enhance customers’ experiences with their Hitachi construction machinery. Increased machine availability and reduced maintenance requirements – which will save owners time and money – are the key benefits of this innovative feature. The machine transmits sensor data on a daily basis to Hitachi’s remote fleet monitoring system. If the oil quality has deteriorated or the oil has become contaminated, the dealer will be notified via email or text and can take the necessary actions. For example, an oil sample can be taken and then sent to a laboratory. From this, a complete analysis is generated so that the exact cause is identified. The dealer can then fix any faults quickly and conveniently on site. The new oil sensors will reduce maintenance costs by providing a more accurate estimation of when an oil change is required. This is more efficient than a fixed oil change interval. Hitachi customers can be sure of the reliability and maximum availability of their Hitachi machine thanks to the prevention of unscheduled downtime. 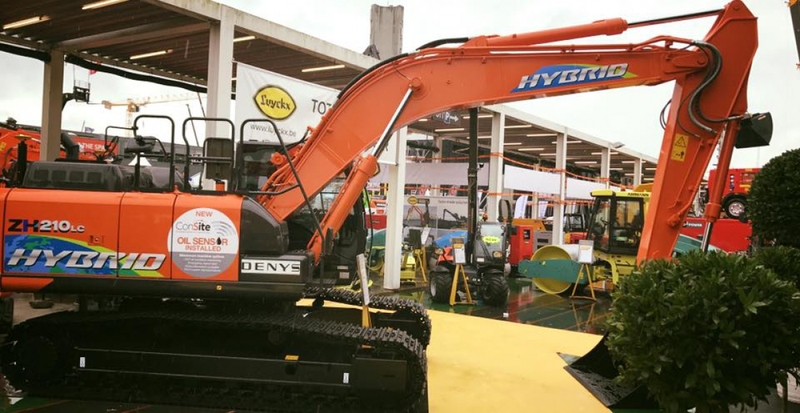 The oil sensors are currently installed in the ZX210-6 and ZX350-6 medium excavators, but Hitachi will roll them out to other models in the near future. A retrofit kit is also available from authorised Hitachi dealers for the previous generation ZX210-5 and ZX350-5 models.